David Christopher Loya* (IMDB Profle) is a multiple, award-winning filmmaker-director who has created hundreds of commercial and episodic productions that have either aired on national and broadcast cable networks; or have served as successful marketing, training, PR, and fund raising films for Fortune 500 companies and numerous international non-profit organizations. As a director-filmmaker, David specializes in creating “conscious media” with meaning. Over the past decade commissioned productions (written, directed and edited by David) have successfully been used by educational institutions, national and international non-profits to raise over $1 billion dollars in donated revenues. David’s focus on authenticity in performance and execution has been successfully registered through the U.S. Patent and Trademark office as the “Conscious Filmmaker®” approach to production. 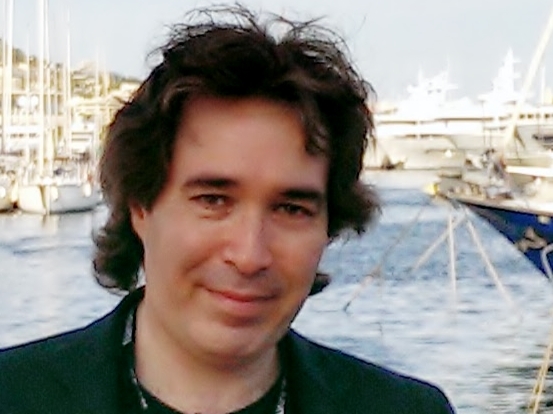 David is the only filmmaker in the United States who holds the Conscious Filmmaker registered trademark. His works are powerfully distinguished by a one-of-a-kind authenticity that deeply reflects what it is to be a Conscious Filmmaker®. As a director David does more than tell a story. He delivers an “experience” that raises the consciousness of the viewer and motivates action. A partial list of his many awards include 20 Silver and Gold Tellys, a Finalist honor at the New York Film Festival and a nomination for best television series pilot at the Banff World Television Festival. David currently has over 300 productions to his credit and has directed, produced, written and edited nationally broadcast dramas, reality segments, commercials and acclaimed documentaries. David’s portfolio includes hundreds of projects that have aired on broadcast and cable networks that include CBS, NBC, PBS, Nickelodeon, the Bravo Channel, the History Channel and the A&E Network. As a documentary filmmaker, David has directed and produced the acclaimed PBS special THE BIG ONE: THE TRUTH ABOUT THE SAN ANDREAS (New York Festivals’ Finalist and Telly Gold Award Winner); served as line producer for the A&E Series FIRST FLIGHTS WITH NEIL ARMSTRONG; produced and directed JOURNEY OF LOSS… DISCOVERY OF HOPE (Telly Gold Winner); and directed and produced the multiple award-winning NFL sports documentary THE MOSS METHOD focusing on New England Patriots Wide Receiver, Randy Moss. On the new media front he has produced and directed VOICES – ROCK AND ROLL’S INVISIBLE INSTRUMENT, an award-winning, interactive multimedia exhibit for The Rock and Roll Hall of Fame that toured across the United States. In addition, David is an award-winning commercial director whose portfolio also includes productions for Sprint International, TCI, World Vision Int’l, Aramark, Mercer, Prudential, National Medical Enterprises, The Salvation Army, eHarmony.com, Coalition for Pulmonary Fibrosis, Beckman-Coulter, and The University of California, Los Angeles. David is curently attached to several motion pictures in late development as both a director and producer. See his IMDB profile to learn more: CLICK HERE. Additionally, David is President and Founder of 2SenseWorth International – a U.S. 501(c)3, tax exempt, public charity whose mission statement is to create positive global transformation by providing children with all the resources needed to attain their highest human potential. The clip below is a brief, high energy, fast moving compilation of select works from David’s large portfolio.